If you're celebrating Presidents Day today, raise your hand. Higher. I want to see them all. Now, take that hand and slap yourself with it. Again. Again. Keep slapping yourself. What's that sound? That's the rest of us, the ones that know today isn't Presidents Day. We're laughing at you. Yeah, that's kinda rude. But don't you think it's rude when someone forgets your birthday? Well, today isn't Presidents Day. It's Washington's Birthday. At least, that's the holiday. His real birthday is actually next Monday, but today is the federal holiday honoring Washington's Birthday. Check out 5 U.S. Code § 6103. When George Washington was born, the date was February 11, 1731. You see, the United Kingdom of Great Britain was using the Julian Calendar back then. There is an issue with leap years with the Julian Calendar, so the calendar was always slowly getting more and more inaccurate. Also, in England and the colonies, New Year's Day was on March 25. Go figure. Anyway, in 1750, the U.K. changed to the Gregorian Calendar and fixed things. New Year's Day was now in January. The calendar dates were adjusted 11 days, which meant that, retroactively, George Washington was born on February 22, 1732. But that was only the first time people screwed around with his birthday. The federal government did try to do right by Washington in 1879 when they added a fifth national holiday. 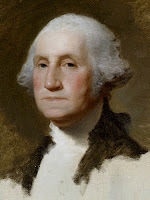 Washington's Birthday, February 22nd, was added to the list of New Year’s Day, Independence Day, Thanksgiving Day, and Christmas Day as national holidays. Other holidays were added later, until we have the ten we have today. In 1971, the Uniform Monday Holiday Act went into effect, moving many of the holidays to Mondays instead of the proper or traditional day. Washington's Birthday was one of those. And, just like the government, they made it so it would never be right. The holiday falls on the third Monday in February, which means it can be as early as the 15th, and as late as the 21st. It will never be on the 22nd, which is when it actually is. Some states used to celebrate Lincoln's Birthday on February 12th. Around half the states have state holidays honoring both Lincoln and Washington today. And, states can do that. Still, the federal holiday is, and has always been Washington's Birthday. If your state celebrates more than just George Washington today, fine. Honor Lincoln and the other presidents that your state recognizes. But, there is a reason the federal holiday is simply Washington's Birthday. Don't forget to honor the man without whom we might very well not have this great nation. George Washington. February 22, 1732 - December 14, 1799. First in war, first in peace, first in the hearts of his countrymen. Is it just me or is the main page all messed up? All the stuff from over there<<<<<<>>>>>>>>> but on this page, it's fine. No, it's not just you, No_Mo. Thanks for celebrating George Washington, Basil. But these days, I think his name is too good for our Capital - and my State. The problem seems to have started near the "An Obvious Sign of Guilt" post. There was an issue with the image in the "An Obvious Sign of Guilt" post, as Jimmy said. It's fixed now. A white guy having some importance in our nation's history? Is the school system aware of this? Thank you Mr. Washington for everything you have done for this great nation... and let me go ahead and apologize to you for liberals and hippies, who may or may not be mutually exclusive entities. And, being a land surveyor, George Washington is considered the first engineer so National Engineers Week is the week of his birthday.